Remember how I told you earlier that my parent's tried to poison me at a young age and my mom got all "OHMYGOSHOHMYGOSH" and made my dad get rid of all the poisonous plants? Well. I thought after that I was home free on the patio. Listen up pups, there are THORNS on those roses. 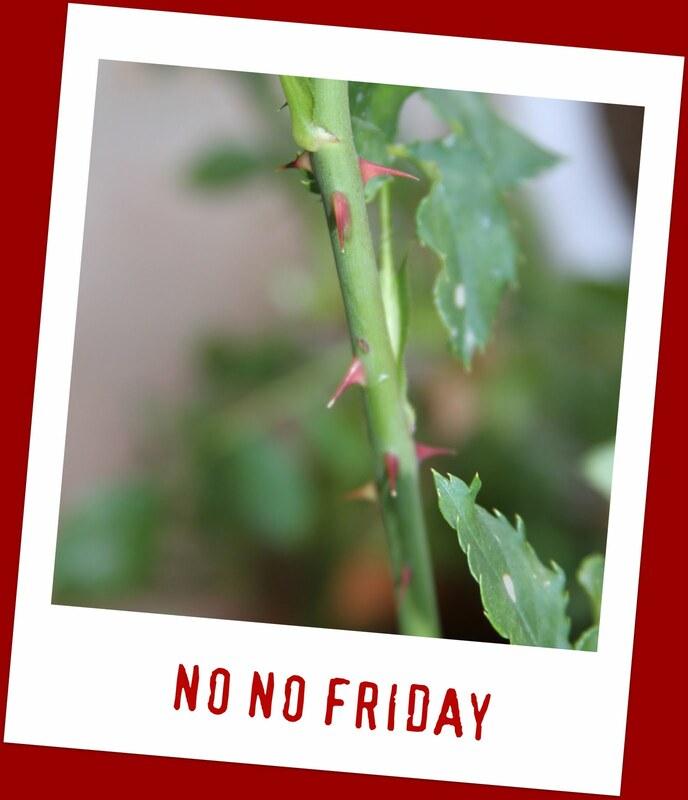 THORNS, I tell you. As in ... hurt your tongue really bad when you chew on the stem really REALLY prickly designed to sever your tongue barnacle things. STAY AWAY FROM THE ROSES PUPS.